Indianapolis, Greenwood, Noblesville, Franklin, Zionsville, Whitestown, Lafayette, Columbus, Martinsville, Bloomington, Carmel, Ft. Wayne, Plainfield, Shelbyville, Rushville, Richmond, Terre Haute, Madison, Aurora, Lawrenceburg, Bright, Dunkirk, etc. Cincinnati, Dayton, Columbus, Hamilton, Harrison, Fairfield, Loveland, Oxford, Lebanon, Goshen, Batavia, Springfield, Xenia, Bexley, Blanchester, Hillsboro, Wilmington, Georgetown, Chillicothe, etc. Louisville, Lexington, Danville, Frankfort, Newport, Maysville, Cambell, Carlisle, Bloomfield, Bedford, Augusta, Richmond, Warsaw, Alexandria, etc. National Kitchen & Bath Assoc. -Unless you are willing to travel, you must purchase it sight unseen. -Even when called by the same name, the stone's variation in color, movement, and texture is often huge. 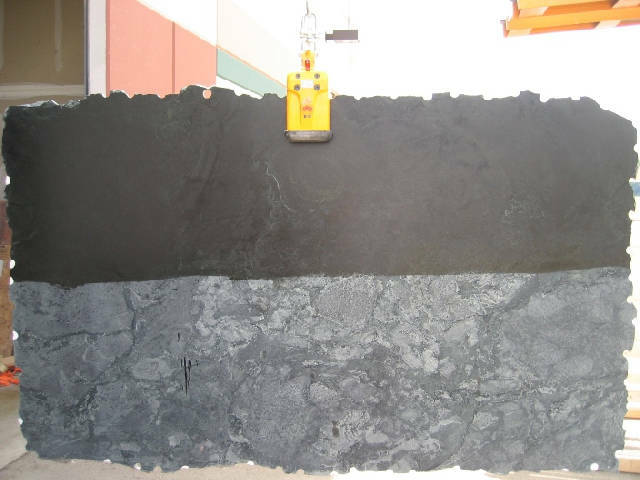 -Without owning some serious loading and lifting equipment, you will have to buy pre-cut slabs, which can be very limiting. 3. 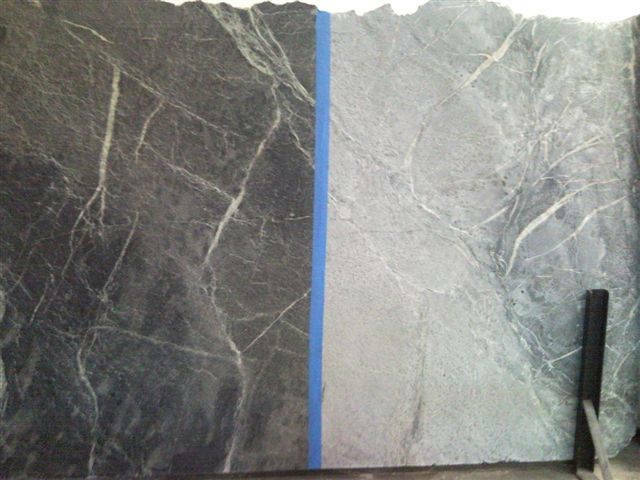 Most stone fabricators don't know much about soapstone. We are very excited to be partnering with a new (to us) soapstone supplier, Dorado Soapstone. Check out their web site at www.doradosoapstone.com. Dorado carries a beautiful line of soapstone--nine varieties in all. 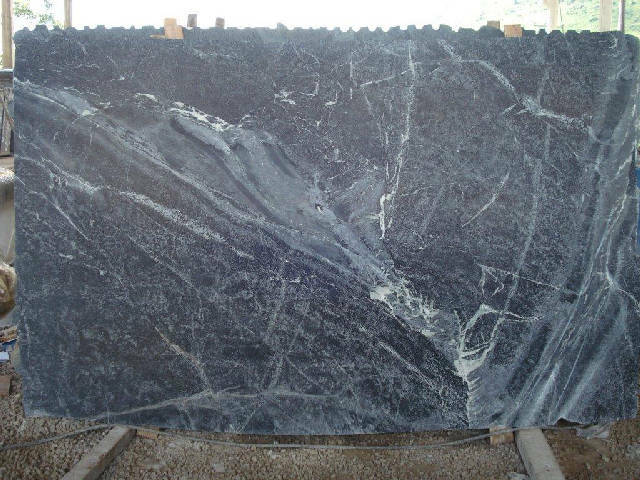 The stone is very nice quality soapstone ranging from green, to gray, to blue, to black; and from plain, to subtle, to exotic. 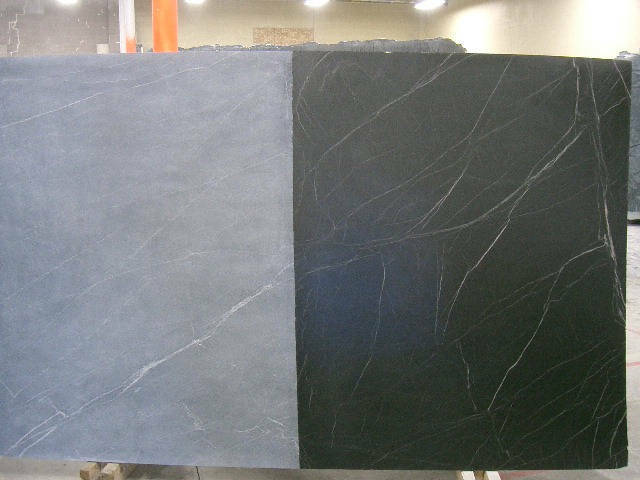 Up until this point, home owners and fabricators have been unable to buy Dorado soapstone in this part of the country, but The Stone Studio, in Batesville, Indiana, is now able to supply Dorado soapstone to the entire tri-state area and beyond! as well as the more traditional Minas. We plan to add Porto Alegro to our inventory later in the summer. Oh what you can do with soapstone! Endless possibilities now right here in Indiana. The photos below were taken of kitchens from out west, where soapstone has been more available. Each of these countertops look as though they have been around for centuries. They are timeless, "like the earth itself." Dorado soapstone, now available in Indiana--one more nice thing about living in the mid-west! for slab viewing and tours. Dorado on "the soapstone experience"
...We couldn't have said it better ourselves! 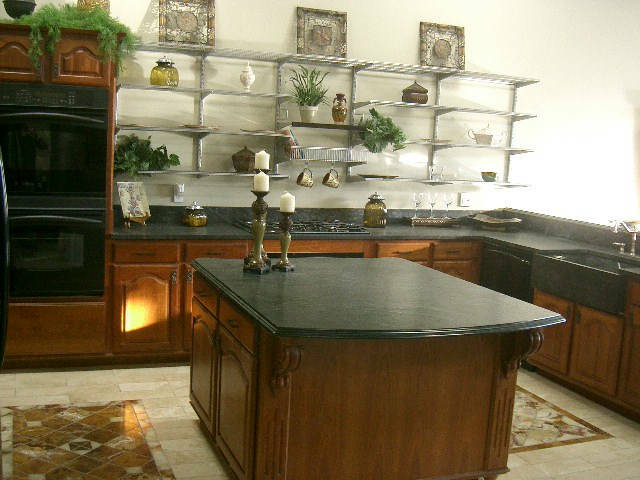 Natural Stone & the Green Movement Countertop selection is often the first place people look to when opting to go green. 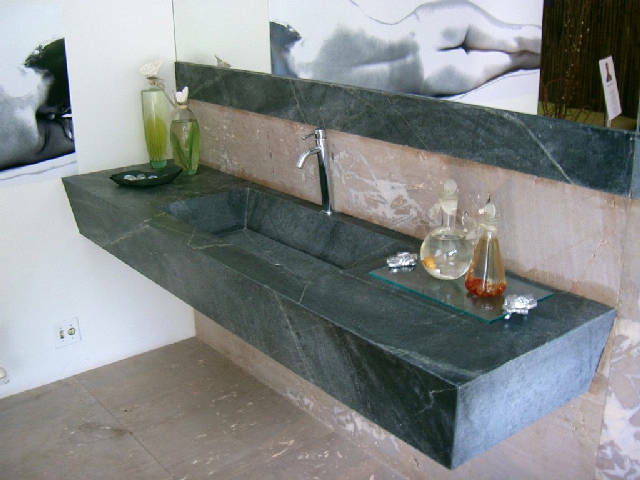 Natural stone (especially Soapstone) is a top choice for the environmentally-friendly.